Hidetoshi Kurita, Chairman of Flandre Co., Ltd. 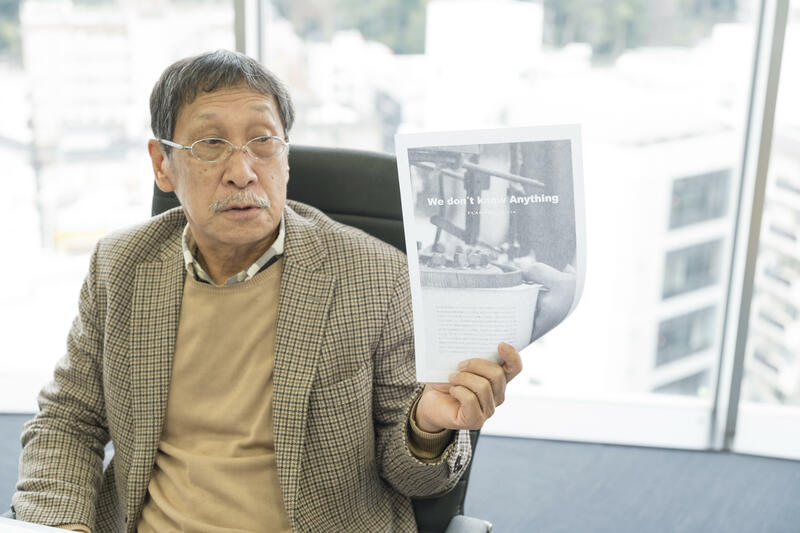 In this interview, Hidetoshi Kurita, Chairman of Flandre Co., Ltd., an apparel maker carrying ladies' fashion brands, speaks about his commitment to manufacturing and future prospects. We don't know anything About two years ago, Flandre stated, "We don't know anything" in a one-page extensive advertisement in the Senken Newspaper. This declaration reflects the company's belief that "Although we know about design and trends as an apparel maker, we don't know anything about the essence of manufacturing. We can create new, valuable products only when we have access to the wisdom and power of professionals in each field in the upstream and midstream nationwide." In the apparel industry, there is a tendency for about five to seven designers to make up a planning team for each brand and create products as they do what they are able to do within this framework. With their own aesthetic sense and habits, designers choose the materials they want to use by looking only at those proposed by an intermediary enterprise, such as a trading company. In this way, the characteristics and goodness that the material will add or the value that we will offer to the customer are secondary. I thought that this was a very self-complacent approach. Accordingly, at Flandre we have changed direction in terms of our approach. We have unified the planning teams of all the brands, and every season the staff members gather together from both the office and stores to plan and develop products beyond the boundaries of brands, while gaining the cooperation of professionals specializing in the fields of spinning, dyeing, weaving, knitting and sewing. Toward manufacturing that combines the wisdom of professionals For a planning meeting, 30 to 40 people at most gather in one room. With numerous proposals posted all over the wall, a discussion takes place between our planning and store staff and manufacturing professionals as mentioned above. We (from Flandre) share information mainly on general fashion trends and sales trends by areas, while people from other segments share with us the knowledge and skills that they have cultivated. We then exchange opinions on what we should produce and how we can create a new product. After this process, we incorporate the conclusions and decisions we have reached into each brand. I believe that we can create a new product which we have never had only by bringing together everyone's wisdom in this way. We cannot achieve this with our individual strengths alone. This is our current approach; we create products by building a relationship of trust in which we can share each other's passion for fashion, and we make the uncommon common. 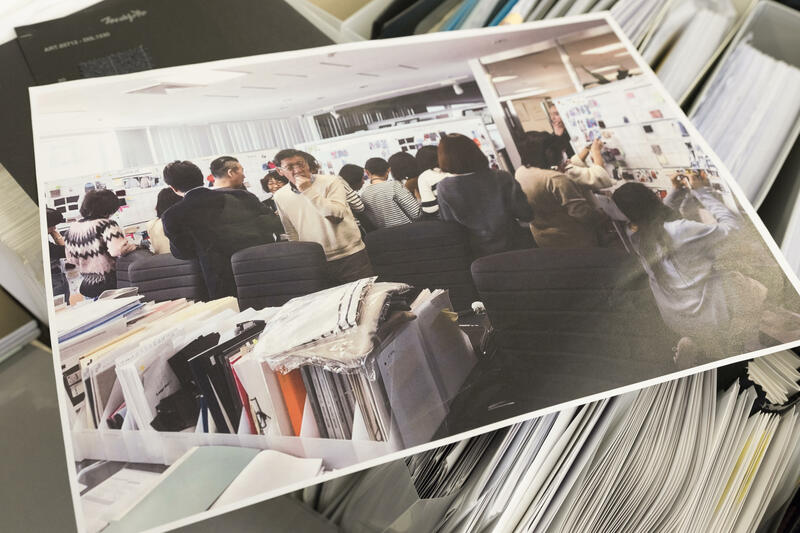 To commence this initiative, we have created a concept book filled with our commitment to manufacturing under the theme of "Japan Couture," which has been distributed to stakeholders, including general customers. This book is our statement of resolve and commandment to continue to create products that live up to the theme of the book. Thanks to this, we have received assistance from numerous people who have responded to our determination. I greatly appreciate it. Mission infused into "Japan Couture" Professionals in the upstream and midstream segments have a wealth of knowledge and experience, as well as truly outstanding skills. The Japanese have great sensitivity with regard to politeness, cleanliness and punctiliousness; this is definitely the Japanese aesthetic that is unmatched anywhere in the world. Even though we have such precious assets in Japan, however, some materials do not see the light of day unless we use them. We declare ourselves to be "Japan Couture"; we can create new products that did not exist before by combining the most advanced technology of Japan and unique materials like Bemberg that can only be produced in Japan. We hope that by telling the story and explaining the background of manufacturing, we can offer new value to customers. In the field of food, for example, information on where, by whom, and with what ingredients the food was prepared is clearly visible to consumers, and the same can be said of the recent cosmetics industry. It is only in the fashion industry that solely the names of brands and some designers come to the fore, and the origin and background are not understood by customers at all. We are now attempting to change this situation. We will let customers know about the professional work of each field involved in making a piece of clothing, convince them of its value, and show them the entire story of manufacturing. Determination to continue to innovate consistently With the rapidly shrinking population, together with the declining birthrate and aging society, it is expected that adult women in their late 30s and in their 40s or older will be the main targets of the market in the future. To target this segment, I am thinking that I want to create a new market called "value fashion," which is different from the fast fashion we have today. In a new era, you will no longer succeed with easy products or careless price setting. We would like to specialize more in materials and quality to confidently launch a brand that is not only affordable but genuine and valuable, offering semi-classic yet somewhat trendy styles. If it is possible for us to provide discerning customers with products made of the finest materials for 10,000 yen or less, I think that many customers will buy them. We would like to sell our products by offering value, rather than by reducing the quality of the materials and thereby lowering the cost. The brand of our origin INÉD celebrated its 25th anniversary in 2017. The name originates from "Inédit," which means "unprecedented" or "unreleased" in French. We will continue to innovate consistently. Chairman and Honorary Advisor, Flandre Co., Ltd Born in Ehime Prefecture. 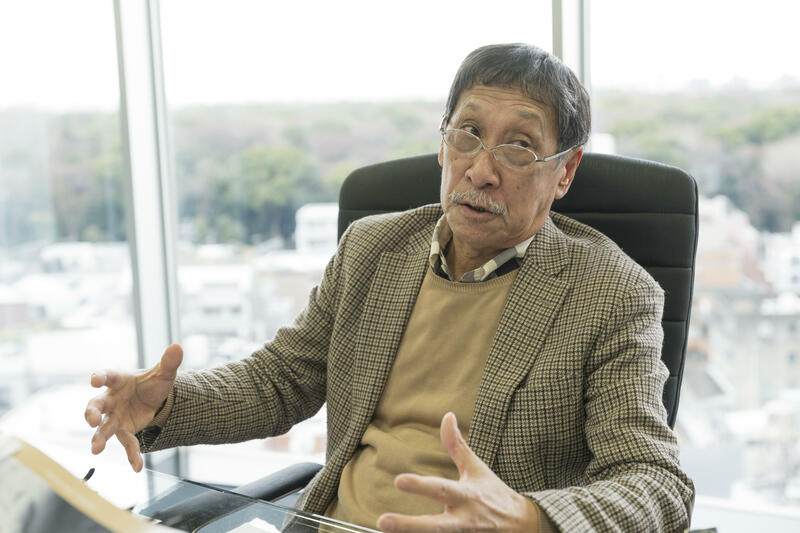 After serving as the representative director of a women's fashion brand, he assumed his current role in 2018.He also served as the director of the Japan Apparel Fashion Industry Council until 2018. He is a leading figure in the industry with profound knowledge of not only design but also materials. He advocates the greatness of Japanese-made products. His motto is to make products that place the top priority on the wearer.